Accept cookies to view the virtual tour. 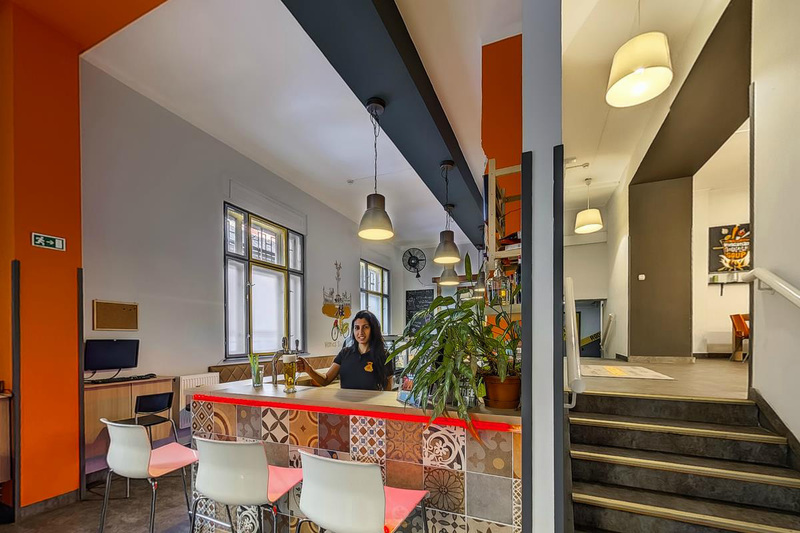 GoodMo House is a busy hotel & hostel in central Budapest. 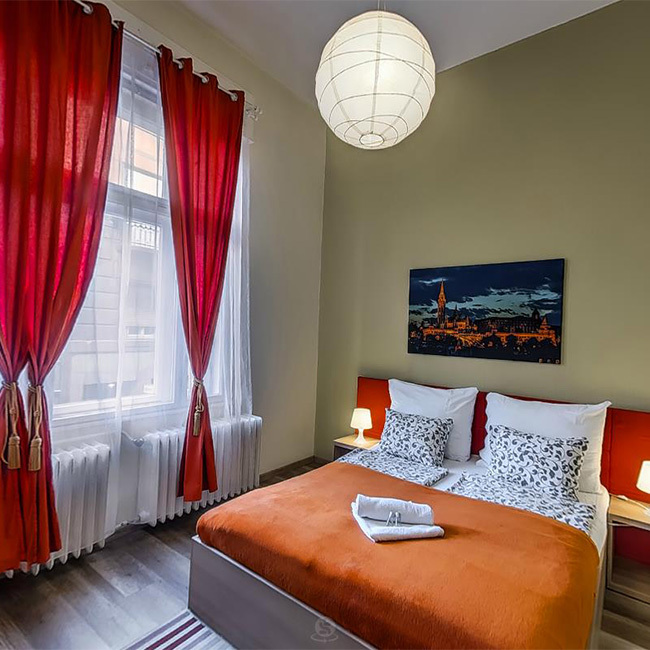 Whether you’re here to relax, or to have some fun, we have 36 rooms (hotel rooms, dormitories, private apartments & student rooms) for you to choose from to best suit your needs. 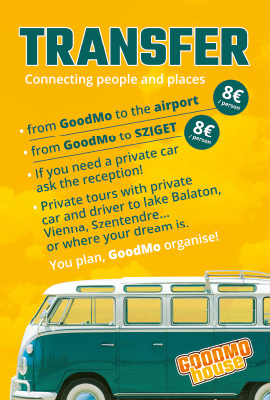 Stay at GoodMo House, and we’ll show you why we think Budapest is one of the greatest cities in the world! 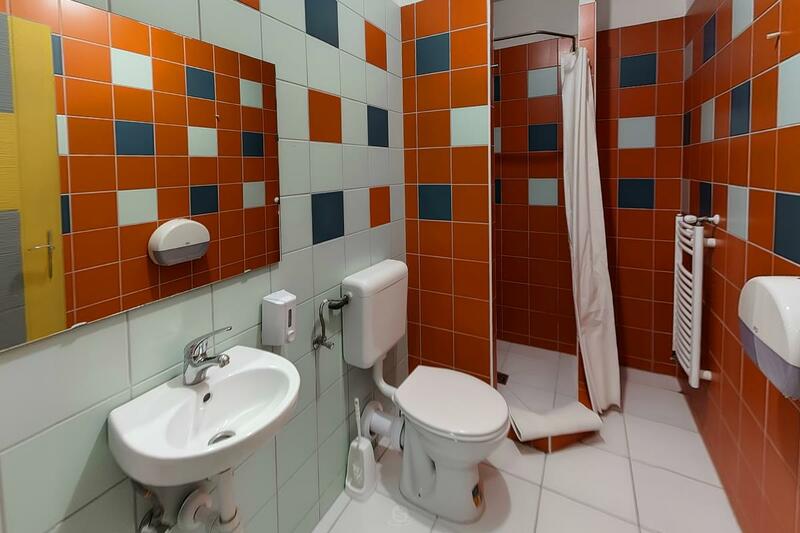 We offer a wide variety of room types, depending on your needs. 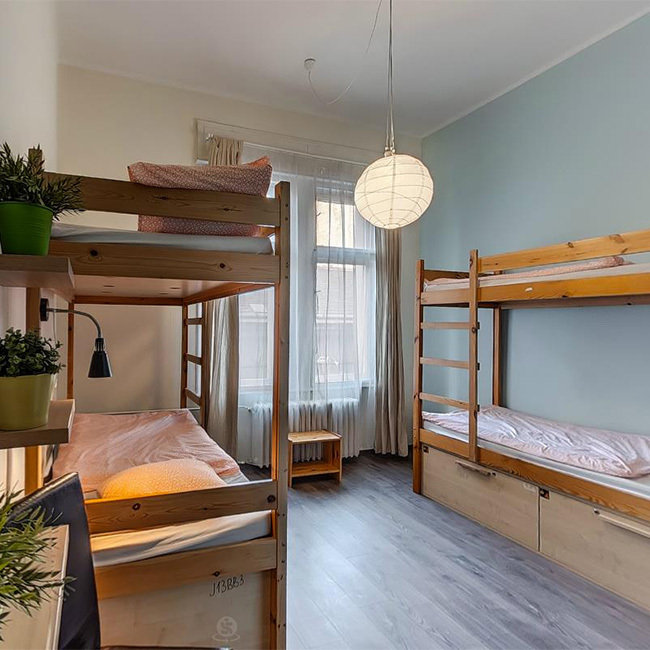 Whether you’re travelling alone and looking for privacy, or you’re looking for a place for your company, or even a big group of travelers, you will surely find a room that suits you best. 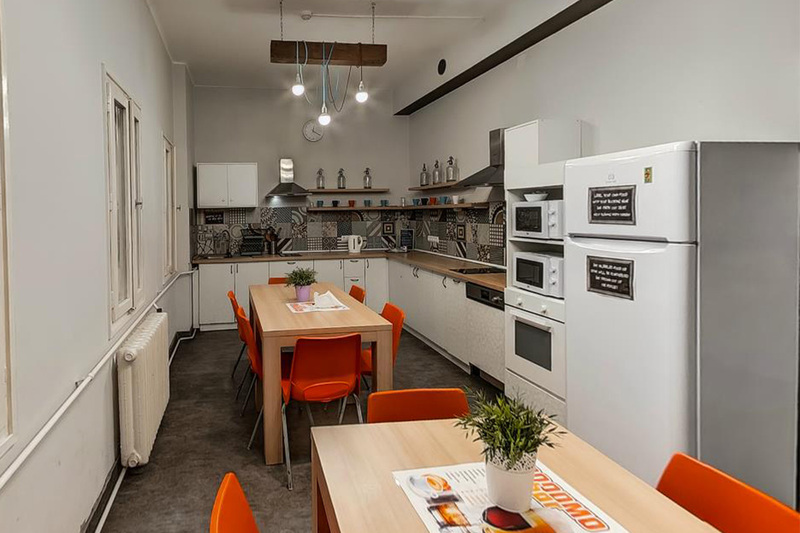 We offer rooms ranging in size from private apartments with a private bathroom, a private, fully equipped kitchen, flat-screen TV and a king-size bed, to a 14-bed dorm with its own bathroom and kitchen, ideal for big groups traveling together. 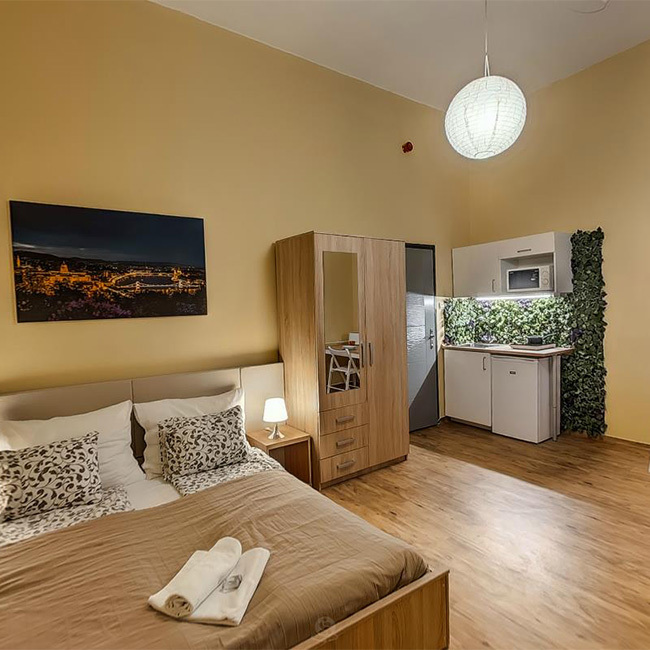 Anything between these options is also waiting for you with 2-, 4-, 6-, 8-, 10- and 12-bed dorms available. 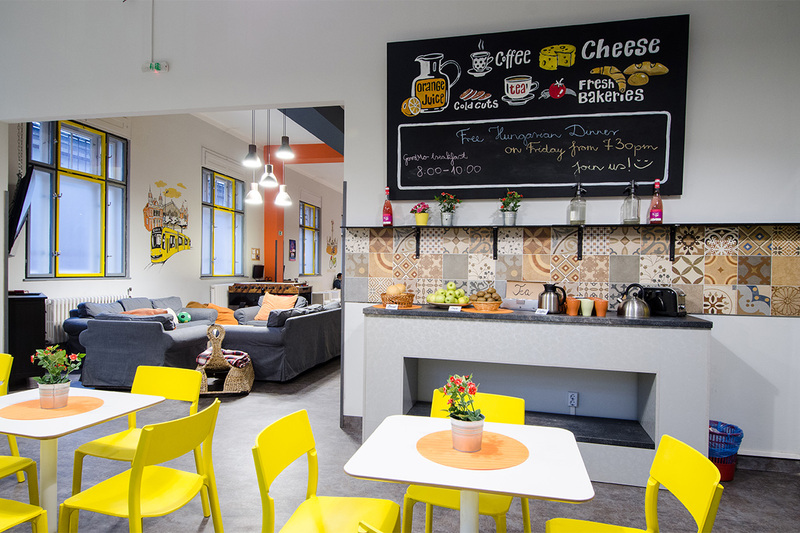 – A spacious common area and a fully equipped kitchen with free tea! 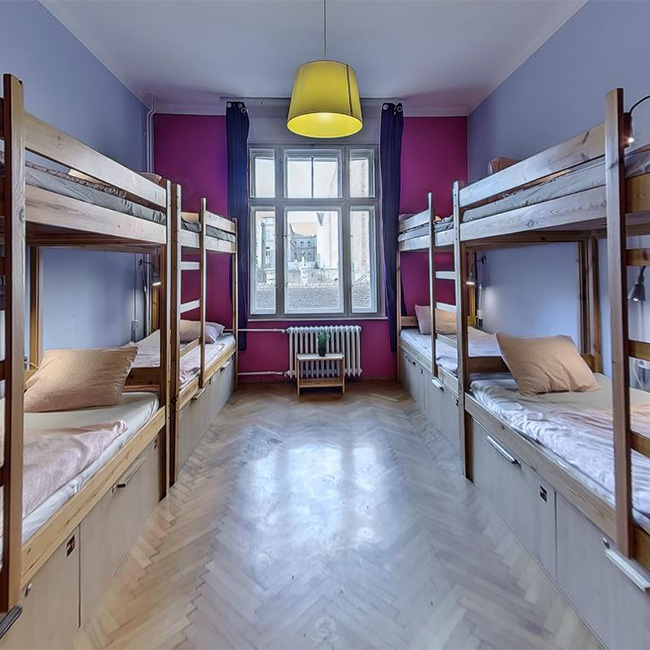 GoodMo house is a 3-storey hostel in central Budapest, within walking distance from the metro line. 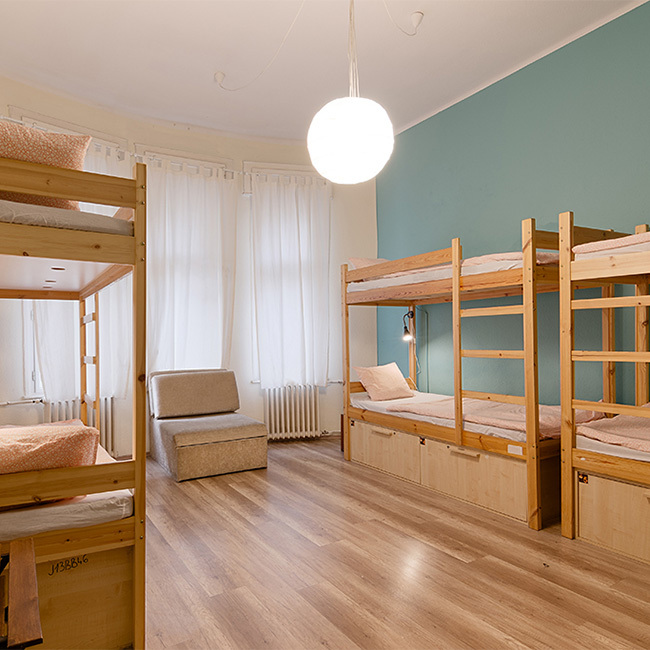 Our hostel has always been a popular choice among guests from all over the world. 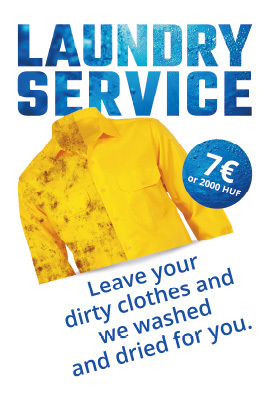 Not only because of the good location, but because of the high standards we keep up when it comes to customer service, our staff and the overall experience we provide. We love Budapest, and we want to make sure you experience this city in a way you will never forget. 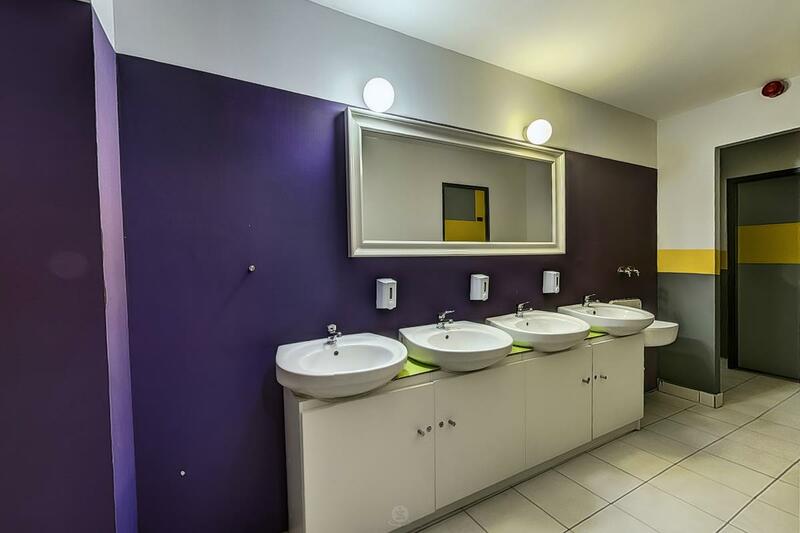 Ever since we opened in 2008 we worked hard on perfecting our facilities and services – if you think GoodMo is for you, don’t hesitate to book your stay. You’ll have a warm welcome here. – Tickets to the internationally renowned Spas of Budapest, Széchenyi Spa and Gellért Spa. 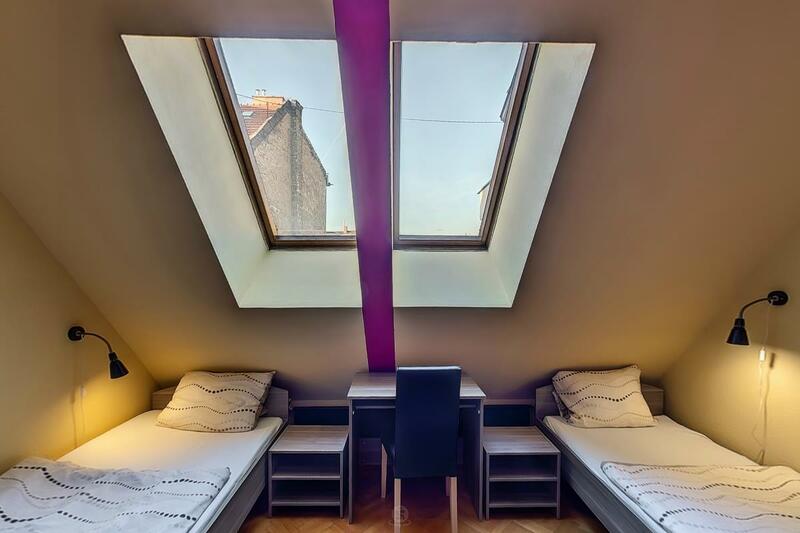 Both are close to the city center, and are situated in beautiful, historic buildings. Don’t miss the chance to visit them! – Walking tour and Hop on Hop off services around Budapest. 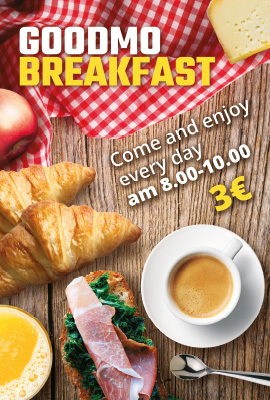 A great opportunity to do some sightseeing in one of Europe’s most beautiful capitals. – For those that have a taste for partying, don’t miss out on Budapest nightlife! 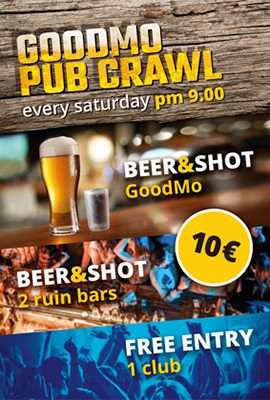 We offer vouchers for pub crawls, where you will have the chance to visit the famous Ruin Pubs of Budapest, and Party Boats that roam the River Danube. And if you liked the spas at day, be sure to visit them at night and take part in the popular Spa Night Parties. 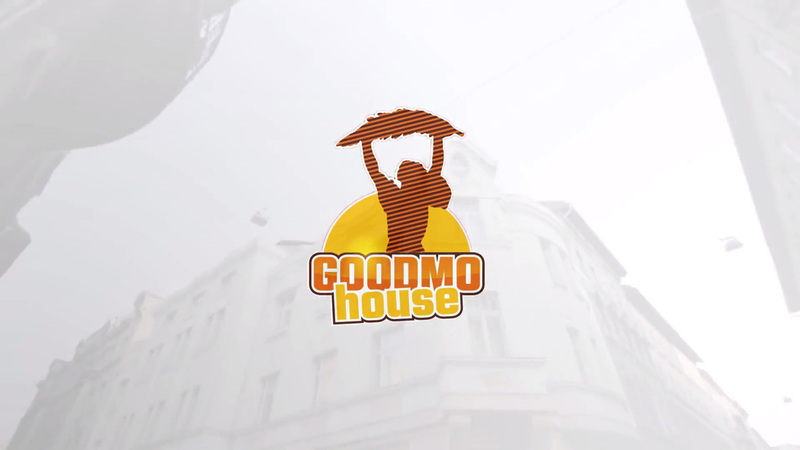 I want to receive the occasional promotional material from GoodMo House.